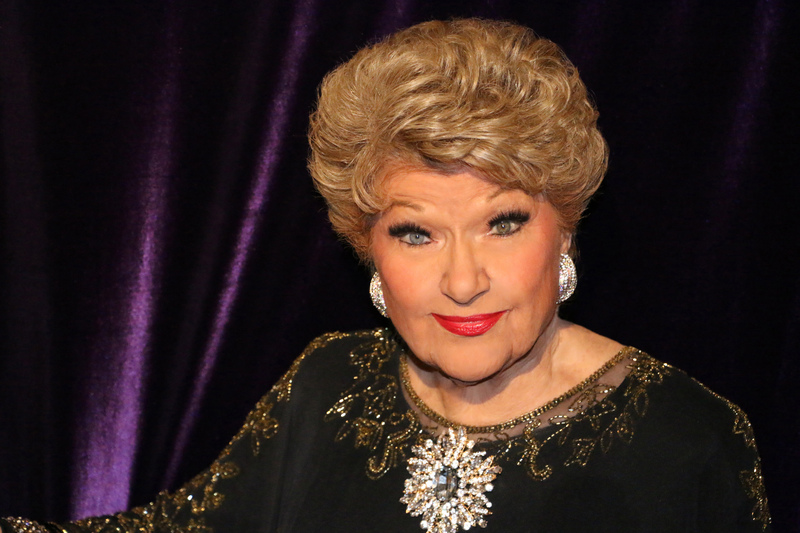 Eighty-six year old Marilyn Maye is no late bloomer- she has been practising her craft on stage for over 70 years. Her divorced mother, a pianist herself, gave her talented daughter singing and dancing lessons and took her on the amateur contest circuit in Kansas from an early age, during the time of the Great Depression. Her winnings provided a valuable source of income. One of the prizes was a 13- week appearance on a radio show, which led to more or less continuous work on radio throughout her school years, singing requests from listeners and regularly singing with a big orchestra, fully preparing her for her later career with RCA Records. After several years playing both small and large nightclubs, she was asked by the then famous TV star Steve Allen to guest on his TV series and her career finally hit big time. RCA signed her as a “commitment” singer – where Broadway producers would approach an artist to sing what they hoped would be the hit song from a forthcoming show. Two such songs that Maye treated us to at Crazy Coqs were Cabaret and Step to the Rear. The latter became the theme song for a car commercial, earning Maye a handsome fee over four years. The show she has brought to London is beautifully programmed with a pleasing bookending of It’s Today, and includes a variety of styles ranging from jazz to pop to Broadway. Her voice is still powerful and flexible, allowing her to both sing delicately in Look to the Rainbow and bring the house down in Blues in the Night and several others. Among the many standout numbers was a couple of medleys she sang at the beginning of the set comprising of Can’t Take My Eyes Off Of You, That Face, Your Smiling Face and I Love to See you Smile, and Get Happy, I Want to Be Happy, and Sometimes I’m Happy respectively. Throughout each of these mini-sections, setting up a great party vibe, she employed different musical sounds and styles, effortlessly seguéing from a pop or big band feel to a sophisticated swing. Visually, Maye’s gestures and movement are exquisite to watch and her strong use of eye-contact creates the illusion she is singing just for you. I also particularly enjoyed the comic When I’m in Love, sung together with the inimitable Billy Stritch who accompanied her on piano along with Joe Pettitt on bass and Eliot Henshaw on drums, and the atmospheric Bye Bye Country Boy, highlighting Maye’s ability to tell a story through song. It has been many years since her last visit to London, and her current show was greatly anticipated. A performer of unparalleled polish and professionalism, she didn’t let us down. Everyone yelled for more. 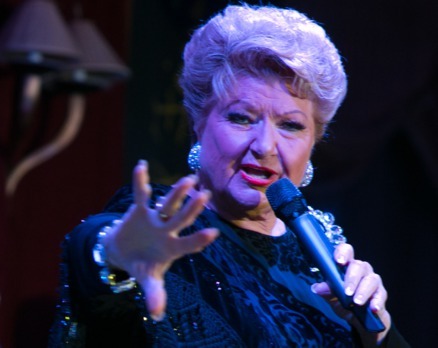 This entry was posted in Cabaret Reviews and tagged Billy Stritch, cabaret reviews London, Crazy Coqs, Eliot Henshaw, fiona jane weston, Joe Pettitt, Marilyn Maye. Bookmark the permalink.